Am I the only one who seems to be drowning in paperwork, messages and admin from the school? I appreciate that we are now half way through this academic year and that things are ramping up (especially for my eldest, who in Year 2 soon faces the STATS week in May). I also get that I may end up receiving more messages because I have two children at school (who knows how you cope if you have three or four kids at the same school). But is it really necessary to bombard several different messages throughout the same day? Working as a freelancer, I spend most of my time at home and yet I still find all of the messages overwhelming, so I have no idea how those parents who both work full time can keep up. Like many schools, we have Parent Mail. It’s a useful App for keeping up to speed with what’s going on, but it does mean that whenever the school remembers something, a message can be fired off at any given time. In the past week alone I’ve had about 16 messages. With my usual email inbox, I can delete the obvious junk messages straight away, but you just can’t do that with messages from the school. 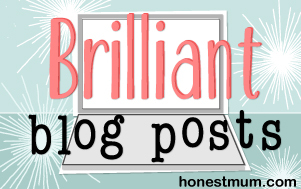 You have to read each one or risk missing out on “something important” or being that one parent who misses a message and have their children turn up for something at the wrong time, the wrong place or in the wrong costume. Three requests to find costumes for the kids to dress up in. One was for (belated) World Book Day, another is for a spring play that eldest is taking part in, and the final request was also for eldest to dress up for a Great Fire of London Day. All of these costume requests adds to the sense of panic and impending doom that no less than THREE outfits need to be gathered and sorted out in the space of as many weeks. We’ve also had a message about an Easter service at the church, an invitation to the aforementioned spring play, requests for recycling items for a junk modelling session, an invitation to a book fair, a reminder about show and tell sessions, a notification about a visit from the NSPCC, an invitation to two lots of parents’ evening as well as the obligatory messages about head lice which seems to be constantly doing the rounds. Finally a bizarre message about ski hats for sale. This is all on top of the usual weekly lunch menu requests and newsletter updates! Then there’s the additional demands for money. We’ve had messages about buying tickets to the spring play, donations for World Book Day and payment towards the Great Fire of London Day. It seems like I need to appoint a treasurer as well as a P.A. to handle the finances as well as the never ending messages. Just writing this has made me feel exhausted! I’m all for keeping the communication open and of course I want to know what’s going on, but I wonder if it’s possible to have one message per day which combines all the requests together? Failing that, does anyone fancy taking on the role of my school P.A. co-ordinator? Are you overloaded with messages and requests from your school? Do let me know, I’d love to know it’s not just me! It’s doubly worse!! But at least you’ll have some degree of crossover with them both in the same place! I’m the same. I know some parents are very creative, but I just want to get it done with the least amount of fuss, I’ll always resort to costumes that we already have or can borrow first! I find it is feast or famine and I work at the school! We get bombarded with certain things and other items go unnoticed. As a teacher, I am even sometimes in the dark. Well that’s good to know coming from a teacher!! Oh yes! I forgot about the What’s App groups AND Facebook groups!! No wonder we have time for nothing else! Yes. When they’re older, they may also get Show My Homework, an app that lets you see what work they have for each subject and when it’s due. Knowing what’s got to be in when is really helpful, but the items that are loaded late always seem to be the ones that need stuff to be bought in order to complete the work. And it’s always stuff we don’t have to hand! Oh no, I really don’t have the time or the head space to deal with another school App! Hopefully this is a way off for us yet. Yes having three or more lots of school messages will be enough to tip anyone over the edge! Good luck! Things are a little different over here on our side of the pond. We usually get hardcopy messages/notices from the school. Anyways, that was quite a while ago – my boys are now in college. I think the reason may be some of the parents of the less privileged kids may not even have digital devices. I’m not sure what’s worse; paper or digital. There’s still a possibility to lose or forget either! Yes! The last 2 weeks have been crazy! This week alone we have had World Book Day (re-scheduled); Sports Relief; school trip for my eldest; Think-a-link work shops and 3 celebration assemblies for parents to attend. Next week we have Easter service, Easter tea as well as a baking competition. I have no idea where to fit work in! 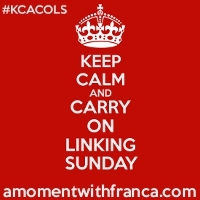 Thanks so much for linking up at #KCACOLS. Hope you come back again next time.